Building your muscles begins on your plate. Increasing good quality protein such as eggs, organic chicken, beef, lamb, veal, fish, seafood, nuts and beans is essential to maintain and grow your muscle mass. Many of the foods we eat contain protein, particularly flesh foods and legumes like beans and lentils. These proteins are broken down during digestion to release amino acids, which are the building blocks of all proteins. The animal foods however digest better. Once inside the human body, these amino acids are used to make new proteins including enzymes and hormones such as adrenalin. Proteins are sometimes also used as an energy source. 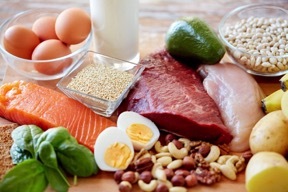 It is essential to increase the protein intake when we try to build muscle and start to exercise more. How much protein should you consume when trying to transform your body, lose fat and build muscles? As a Nutritionist, I personally recommend 1.2 to 1.7 grams of protein per kilogram of your body weight per day. The increased protein intake needs to be combined with increased exercise. – “I try to eat at last 3-4 palm size of protein sourced from whole foods a day, combined with about 50 to 75 grams of protein that comes from Herbalife Protein powder. This keeps me in good shape, considering I exercise everyday”. 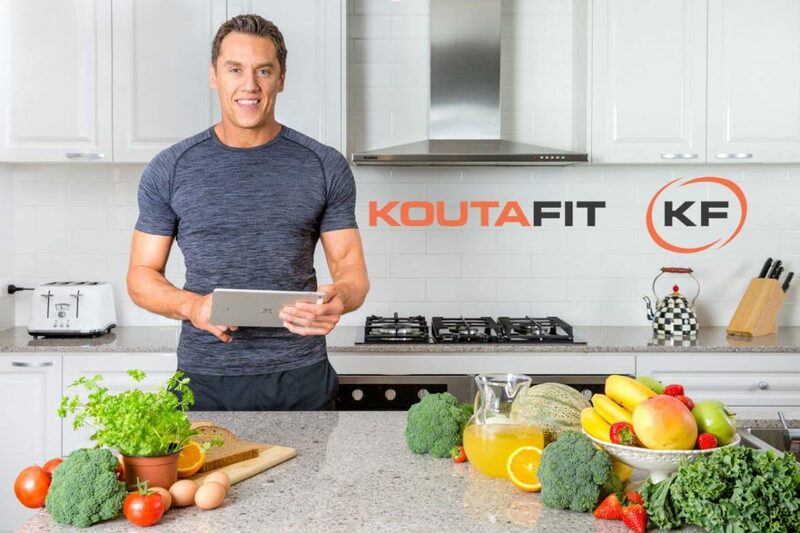 Anthony is launching an online fitness program KoutaFit where you can learn how to eat healthy and exercise to improve your muscle mass and lose fat. Subscribe to his website and be one of the first participants of the KoutFit program, that will be launched in January 2018. Anthony has had always found the most joy in inspiring and motivating people. He lives and breathes health and fitness passions every day and he is committed helping others to consistently live a fit and healthy lifestyle. You have nothing to lose by working with Anthony. Together you will succeed because passion drives success and great health leads the way to a great life. His program was powered with nutritionally balanced recipes that are easy to follow and tasty. When joining his program you will be able to access my nutritional advice and recipes in his newsletter and many other experts advice, that is tailored to help you transform your body and reach your full health potential. Try to follow this simple rule when you eat for muscle gain: include 1 palm size of a good quality protein at last 3 times a day with accompany of 1 cup of colourful vegetables. Choose whole grains sporadically, 1 small serving a day is enough for you. Try to replace whole grains with vegetables. These have higher nutritional content, fuel your body with energy and still contain lots of fibre that is essential to maintain healthy gut bacteria and regular bowel movements, but without adding loads of kilojoules. This simple rule will ensure that you gain muscles when regularly exercising and lose fat.